The “Budapest International Open IBJJF Jiu-Jitsu Championship” will be held this year! The tournament will take place on the territory of the “Folyondár Vasas” sports center on 2 March in Budapest, Hungary. The event will take place in Gi and No-Gi categories. Fighters of three categories – juniors (white, blue and purple belts), adults and masters (white, blue, purple, brown and black belts) are welcomed to participate. 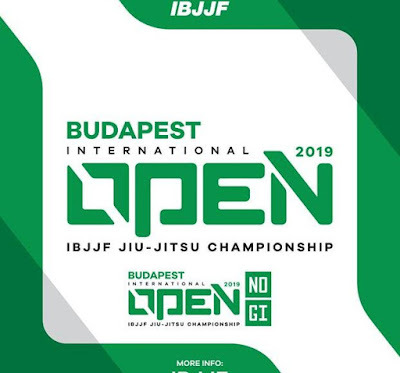 The “Budapest International Open IBJJF Jiu-Jitsu Championship” is held under the International Brazilian Jiu-Jitsu Federation authority. Registration will be opened until 23 February 2019. The participants of the championship will feel an incredible spirit of the contest and receive invaluable experience.